Beautiful Gluten Free Stained Glass Cookies for Christmas! 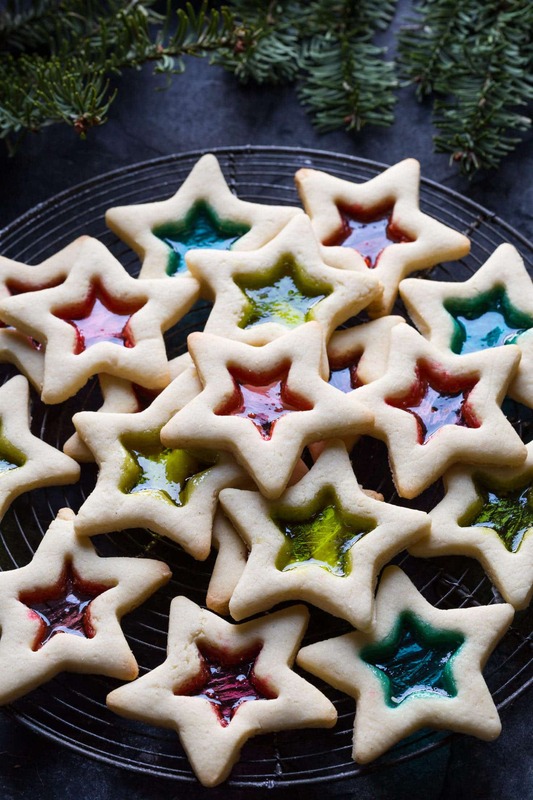 Simply gorgeous Gluten Free Stained Glass Cookies. You can can make these with your kids, they are SO easy! Every year I feel like Christmas creeps up on me, despite the fact that it’s the same date every year! Up until Thanksgiving just seems like too soon to be thinking about anything to do with Christmas, and then BAM, there it is and I’m running to catch up. Today I thought that I would post my Gluten Free Stained Glass Cookies as they are super cute and easy enough to make with your children or grandchildren. The hardest part was keeping my boys from eating the hard candy before I had a chance to make the cookies! Fortunately I managed to keep enough of it hidden so that I could make these cookies for you! I used Jolly Ranchers for the stained glass part, for the first batch I used probably about half a crushed candy piece. When they came out of the oven I thought that it would not be nearly enough as the glass part looked really thin, but when it hardened up they were just fine and far less fragile than I thought they would be. For the second batch I used more hard candy but then it tended to bubble up over the top of the cookie so those cookies didn’t look quite so impressive. As you can see I used two ‘star’ cookie cutters to cut the shapes, but really you can use any shape cutters you like. At this time of year, I’m sure you can easily find star and snowflake shaped cutters that come in little boxes with four or five cutters of the same shape in varying sizes. I’m a bit obsessed with cookie cutters and have box loads of them in all shapes and sizes. I got most of them from Amazon, if you don’t have any then start with one of their big boxes of Holiday Cookie Cutters, they’re great value! As always with gluten free cookies and other gluten free baked goods I find that they just don’t keep as long as regular baked goods and can tend to get soft or dry out more quickly. My children are not remotely bothered by that and would eat these cookies all week long, but I prefer to freeze them if I think we won’t eat the whole batch within a couple of days. MORE OF MY GLUTEN FREE COOKIE RECIPES! You can make these hat and mitten cookies with some simple Hat and Mitten Cookie Cutters and my recipes for gluten free cut out cookies and Royal icing recipe listed below. 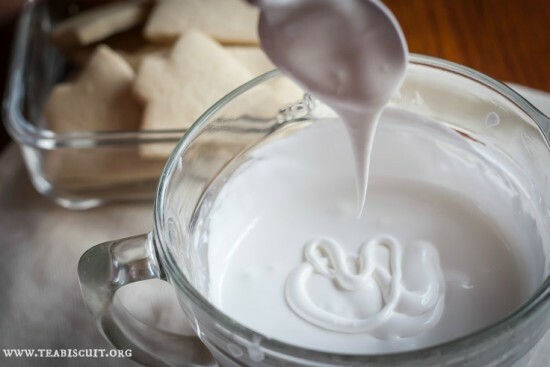 If you’re decorating cookies this Christmas then you need my Royal Icing recipe, it works perfectly, just be sure to read the tips in the post and use a timer! I’ve been making it for years as I was a cookie decorator before I was a blogger. This is my own recipe for gluten free cut out cookies, I wanted to create a recipe that not only tasted good but would hold it’s shape when baked in the oven. This recipe works on both counts and has had rave reviews! 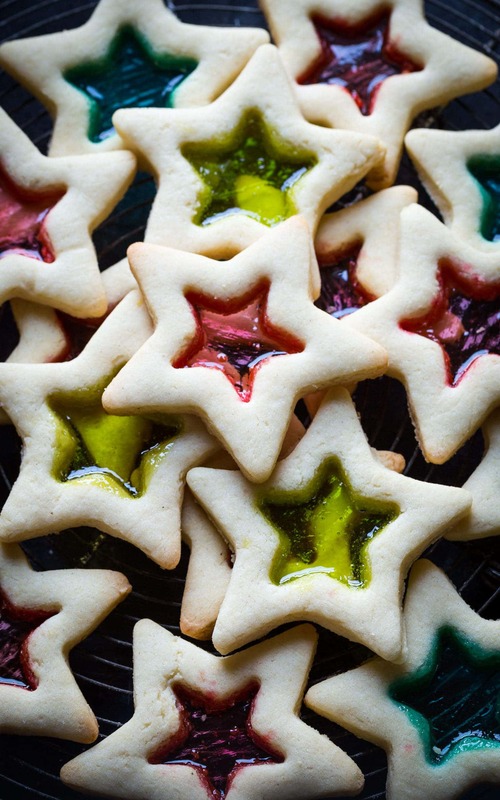 And lastly, not a Christmas Cookie as such, but you can’t go wrong with soft sugar cookies! 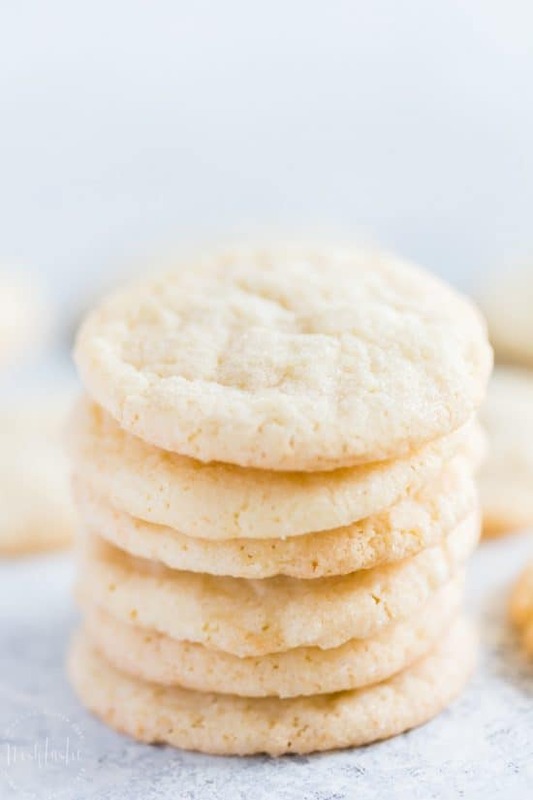 This gluten free sugar cookie recipe makes a softer cookie and has a different dough recipe to the one above. 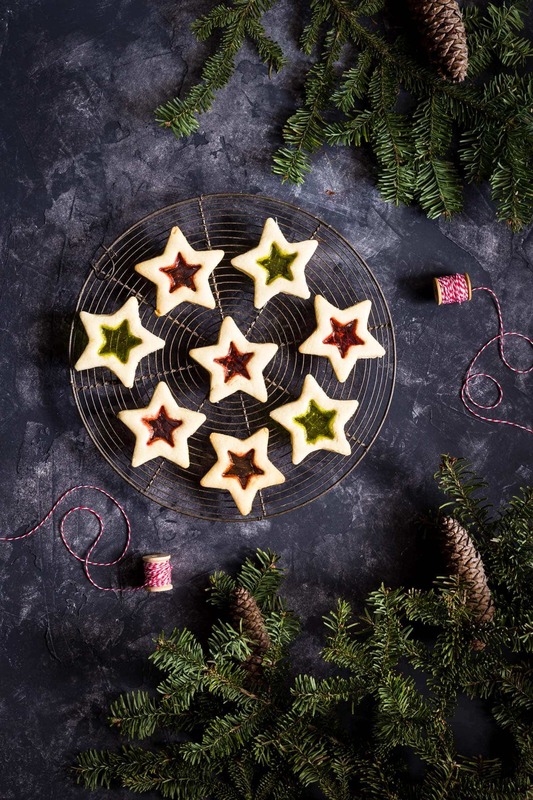 Simply gorgeous Gluten Free Christmas Cookies with Stained Glass. You can can make these with your kids, they are SO easy! 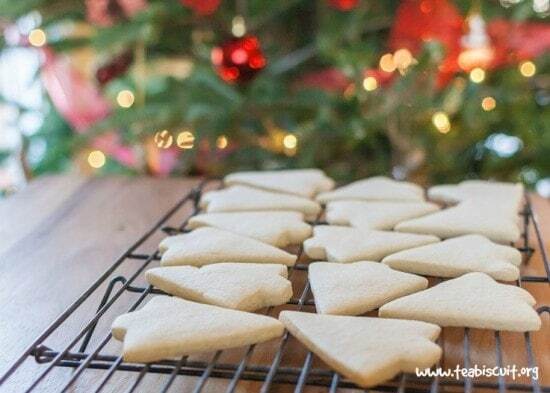 You will need two cookies cutters of the same shape, with one smaller than the other for the cut out centers. Separate the hard candies into their various colors and put each color in a small ziplock bag. Using a rolling pin or something similar carefully smash the candies into small pieces. Add in eggs and vanilla and almond extracts and mix until combined, remember to scrape down the sides of the bowl. Transfer the cut out cookies to the lined baking sheet and then use a smaller cutter with the same shape to cut out the centers. Fill the center of the cookies with approx 1/2 to 1 tsp crushed candy. Allow to cool on baking sheet, the cookies will firm up once cooled and the 'glass' center will harden. The candy will be bubbling when it comes out of the oven, this is normal and it will spread out when it cools down and the bubbles should disappear. I recognise that most Americans are used to the cup method which is why I also include those measurements,but they may not give you accurate results. If you are a keen gluten free baker I would encourage you to invest in a scale, you can get one for only $10 - $15. These are so pretty, Sheena – and gorgeous photos, too! Thanks for your kind comments Melanie! Absolutely stunning presentation! These cookies are pure perfection! These are gorgeous cookies Sheena! Sharing and pinning and drooling! These are so gorgeous! And love that you used jolly ranchers…as if I need another reason to love them! 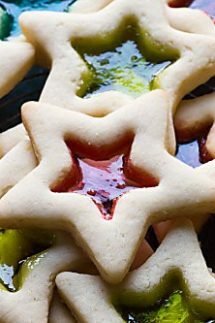 I always love these cookies, but have never made them. What a great idea to use jolly ranchers! 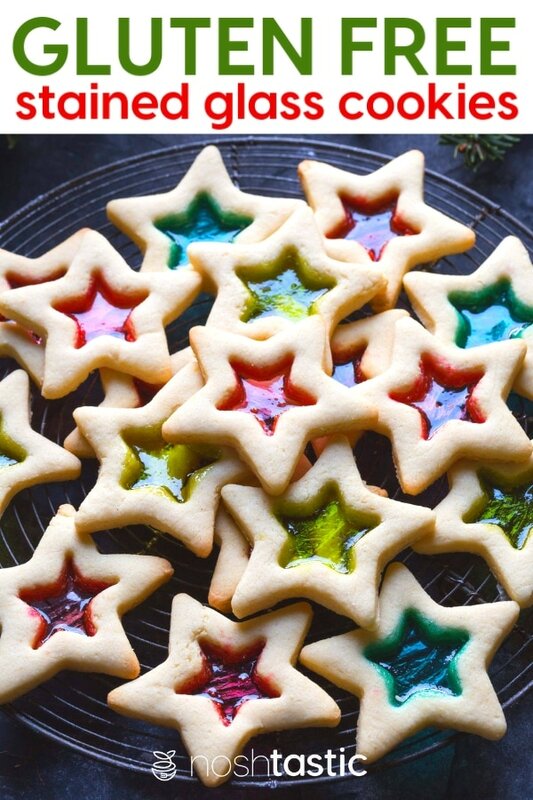 Stained glass cookies are a tradition in my household, I definitely need to make these cookies! My Mom used to make stained glass cookies for us when we were kids, this brings back memories. My Aunt has celiac and when she comes to my house, I just cook regular food that’s gluten free. For dessert, I always go with a custard because I don’t know what else to do. This inspires me to try some gluten free baking. Hi Lisa, I know your Aunt is very grateful that you make gluten free food for her! If she can tolerate eggs and dairy then home made meringues served with whipped cream and strawberries is an easy GF dessert option. 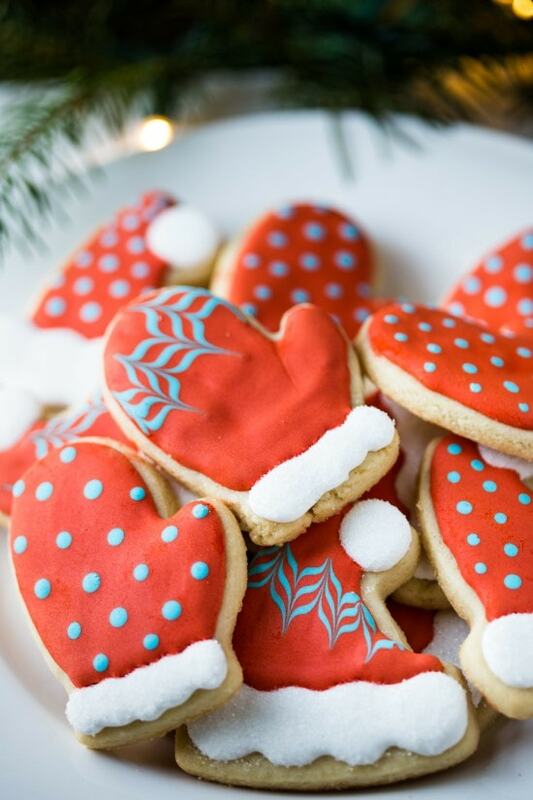 These are the most perfect looking Christmas cookies I’ve seen in awhile. These would make such a great gift for friends and neighbors. These are so beautiful! And I agree completely with all your recipe notes — baking by weight is always helpful, but ESPECIALLY so with gluten-free baking. Homemade gluten-free flour blends are the best, too. I often find that store-bought blends have a weird savory quality to them that just doesn’t taste right in a cookie. Thank you Willow! I got your message on FB too, thanks for getting in touch and for your kind comments! Can regular flour be used? If so, how does the recipe change? Hi Bridget, I only bake gluten free so you would need to find a regular cut out cookie recipe and use that, then follow the steps in my recipe about adding the ‘window’ part. Gluten free and regular flour in recipes are not interchangeable usually. Is it possible to also make these so they work for a Diabetic? I assume I could get sugar free Jolly Ranchers but what would be the best substitute for the sugar and how much? Thanks in advance. Hi Claudia, I know very little about cooking for diabetics I’m afraid. I’d guess the sugar free jolly ranchers would work but they may not melt the same, you’d just need to try and see if it works. I have a blogger friend who cooks low carb food and she uses Swerve sweetener, I think that’s ok for diabetics but I’m not 100% sure and I don’t know if you can simply substitute the same amount, I guess it would tell you on the packet. Is it possible to freeze these cookies for a few weeks in airtight container? If so, how long will they freeze? Hey Michelle, I know you can freeze both the raw dough and the baked cookies in an airtight container for a couple months, however, it’s been a long time since I’ve made these particular cookies with the stained glass in the middle and I honestly can’t remember if the ‘stained glass’ will freeze ok or not, I think it will but I can’t be 100% sure. Ah yes, I’ve been stung by using wax paper before, I can’t recall what exactly it was but I had to throw all the baking in the trash as the wax paper would not peel off! If you’re making big batches you might want to use parchment sheets that are precut for convenience, I usually get them at the holidays 🙂 Do let me know if they freeze ok. Someone near and dear to my heart eats gluten-free, she has since 1989! By the grace of the Lord she has just beat stage 4 cancer. I have made it my personal goal to take her gluten-free meals/ Snacks. This way of cooking is Very different for me. I enjoy reading your blogs and recipes! I am going to make my own gluten free flour this weekend. Thank you for making this less of a challenge! Have a Very Merry & Blessed Holiday! Diana, that is so kind of you to love your friend like that, I’m sure she will appreciate it very much! I hope she loves these cookies as much as we do! I made the stain glass cookies today but didn’t put enough candy in the middle. Oh well, next time. Can I freeze these or how long can I leave them in the airtight container ? I find that they last just a couple of days in an airtight container, and you can freeze them and they will last for a couple of weeks.